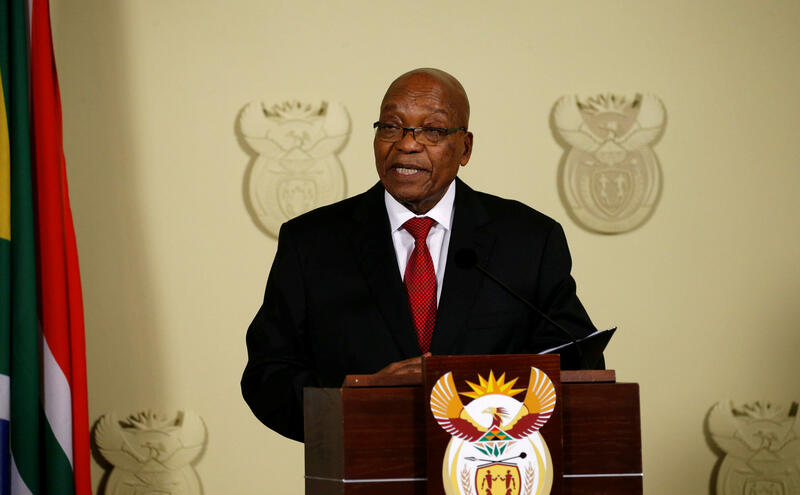 JOHANNESBURG -- The director of South Africa's National Prosecuting Authority says that former president Jacob Zuma will be prosecuted on 16 charges of corruption. Shaun Abrahams announced Friday that Zuma will be face charges including fraud, corruption, racketeering and money laundering. Zuma, 75, resigned as president last month, after he was ordered to do so by his party, the African National Congress. The charges stem from a $2.5 billion government arms purchase in 1999, when Zuma was deputy president. Zuma was elected president in 2009.